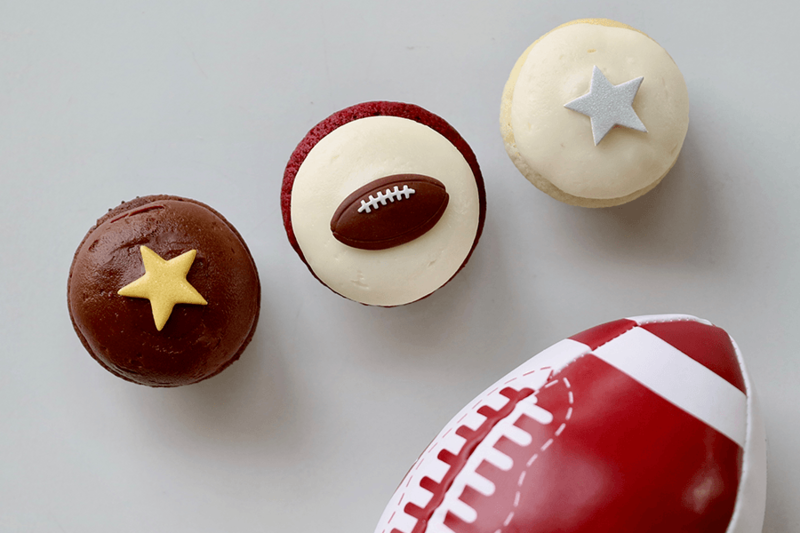 Kick off the football season with a themed mini sampler of cupcakes. Score with a selection of Sprinkles’ dark chocolate, red velvet and vanilla treats! Available in-bakery for $5 and online.